We’d love your help. Let us know what’s wrong with this preview of The Trials of Annie Oakley by Howard Kazanjian. To ask other readers questions about The Trials of Annie Oakley, please sign up. Annie came from a poor family and started shooting game as a way to provide. Eventually meeting and beating her future husband, Frank, at a shooting competition sparked the start of her career. Annie Oakley fell in love and married the first man she defeated in a riffle match. Frank E Butler was one of most noted marksmen in the west and he and Annie Oakley were married for fifty years. Annie Oakley was a combination of dainty famine charms and lead bullets. Annie Oakley is also known as America’s first sweetheart after winning first prize at a shooting match as a teenager. She quickly earned world wide fame as a crack shot. Annie Oakley was born Phoebe Ann Moses on August.13.1860. She was born in Darke County, Ohio. One of seven children her family struggled with poverty. After her Father died when she was around six years old Annie learned to use the gun her Father left behind to hunt to provide food for the family. Annie Oakley began her career with Buffalo Bill’s Wild West show in 1885. On August.18.1908 Annie Oakley’s Mom passed away at seventy six, and was laid to rest at Mendehall Cemetery in Yorkshire, Darke County Ohio. She was of course heartbroken but spurred on to Pennsylvania for shooting matches in the following month. Annie Oakley believed that children should be taught how to shoot properly. In 1901 the markswoman would become paralyzed. By the end of 1926 Annie and Frank were both in failing health. And on November.03.1926 she succumbed to the illness, she was sixty six. On November.21.1926 Frank too would die, never recovering from the loss of his wife. I give The Trials Of Annie Oakley five out of five stars! The Trials of Annie Oakley by Howard Kazanjian is free NetGalley ebook that I read in late October. For a biography, this book is highly descriptive and moves at an accomplished clip (possible double pun not intended). Going from Annie Oakley's childhood, marriage at age 15, shooting exhibitions, appearing in the Sells Brothers Circus before Buffalo Bill's Wild West, and semi-retirement in 1902, I had no idea whatsoever that she had pursued a total of 55 lawsuits against William Randolph Hearst's The Trials of Annie Oakley by Howard Kazanjian is free NetGalley ebook that I read in late October. Thanks to Net Galley and the publisher for the chance to read The Trials of Annie Oakley. This is my honest review. I already knew quite a bit about Annie Oakley from learning about her and admiring her growing up. I still thoroughly enjoyed this book. There is a lot of information for the length, but it never feels like facts are just being thrown at you. It kept my attention and was very easy to read. 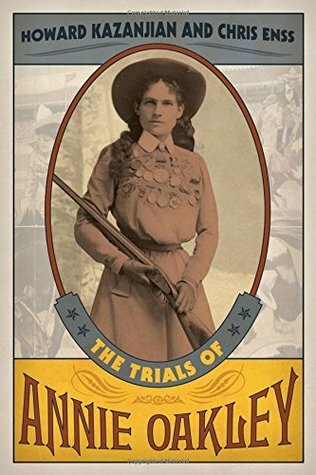 I think this could be enjoyed by people who know a bit about Annie Oakley just as well as those Thanks to Net Galley and the publisher for the chance to read The Trials of Annie Oakley. This is my honest review. This book was a pleasant surprise - an easily-read biography of a woman I had never truly studied before. I devoured it practically overnight. Never before had I read of Annie Oakley as a serene, dignified lady who wanted every woman to know how to hold and operate guns. Annie was a woman I wish I could have met. A true role model. Never again after reading this will I think of her the same way as I once did. I'm so glad I was given the opportunity to read this, as I probably would not have done so on my own. Very interesting account of the life of Annie Oakley. 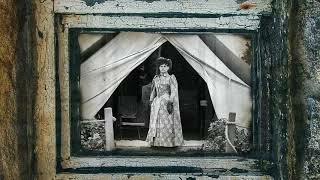 The books documents her life from her meager beginnings in Ohio to her rise to fame as the premier woman sharpshooter of the west. I was very interested in learning about the legal proceedings against newspapers reporting what turned out to be fake news about Annie and her life after Buffalo Bill's Wild West Show. She was a true American folk hero.